THIS IS ONE OF THE MOST COMFORTABLE CANE SUITES YOU WILL EVER SIT ON. IT HAS A HIGH BACK FULL WRAP ROUND CUSHION WHICH ENCOURAGES YOU TO SNOOZE OR PURR WITH CONTENTMENT. 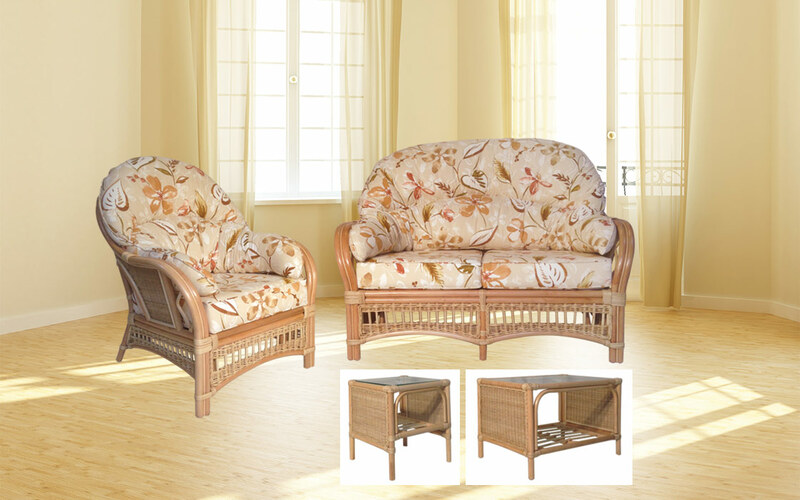 AVAILABLE IN NATURAL WASH (SHOWN) AND ANTIQUE WASH. ALL CUSHION COVERS HAVE ZIPS AND CAN BE REMOVED FOR EASY CLEANING. SHOWN IN BRINDISI AUTUMN FABRIC.